All Liars . . . shall have their part in the lake which burneth with fire and brimstone” (Revelation 21:8). Perhaps you wonder: Really? I cannot believe God would condemn me for just a lie. Surely He will overlook a few little lies. 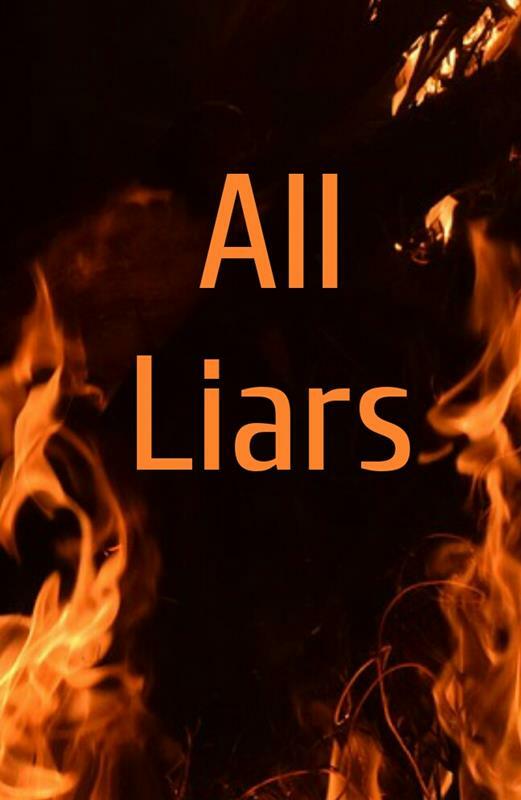 All liars? Impossible! But that is the way it is. The Bible says “all.” Every one. The Bible is truth. Knowing this, you would think everybody would stop lying. But do they? Consider the following examples. What does God think about them? Charles returns from the store with the items his mother sent him to buy. “Where’s the change?” his mother asks. Charles sticks his hand into the sack to get it, and his face registers disbelief. “I lost it,” he gasps, even though his mouth is still sticky with the last bit of candy he bought with the money. “Stop hitting your sister, Willie. I’m telling you for the last time,” Father yells angrily. We cannot list all the types of lies in a small tract like this. But think about yourself. Do you lie? Lying is common, because we imagine it helps us or because many times truth is difficult or painful to admit. We lie because of our sinful nature. Consider what the Bible says about this subject. “The wicked are estranged from the womb: they go astray as soon as they be born, speaking lies” (Psalm 58:3). Lying is part of our sinful nature, and we all have a sinful nature. “A righteous man hateth lying: but a wicked man is loathsome [disgusting], and cometh to shame” (Proverbs 13:5). Righteousness consists of obedience to God. The more righteousness there is, the less lying there will be. But lying increases with wickedness. “Surely they are my people, children that will not lie” (Isaiah 63:8). Lies are common, because God’s people are few. The true child of God loves truth and does not lie. “Lie not one to another, seeing that ye have put off the old man with his deeds” (Colossians 3:9). Only a sinner will lie. The one who forsakes his old way of life also forsakes lying. Since lying comes so naturally, how can you escape its grip? Obviously, the best answers are found in the Word of God. You need to realize the extreme hatred God has toward lying. Because He hates it so, He will severely punish liars. “A false witness shall not be unpunished, and he that speaketh lies shall not escape” (Proverbs 19:5). Nor will God accept lying in a joking way. “As a mad man who casteth firebrands, arrows, and death, so is the man that deceiveth his neighbour, and saith, Am not I in sport?” (Proverbs 26:18–19). You need to promise God that you are through with lying. “My lips shall not speak wickedness, nor my tongue utter deceit” (Job 27:4). Ask God for His help. “Remove from me the way of lying: and grant me thy law graciously” (Psalm 119:29). You need to accept God’s help to turn from your old, sinful habits and to live as a Christian should live. “A new heart also will I give you, and a new spirit will I put within you: and I will take away the stony heart out of your flesh, and I will give you an heart of flesh. And I will put my spirit within you, and cause you to walk in my statutes, and ye shall keep my judgments, and do them” (Ezekiel 36:26–27). Because our old nature is automatically inclined toward lying, God gives us a new nature! And this nature wants to do what is right. “Oh, but I also want to do what’s right—but I can’t,” you say. That is true. Alone you will fail. But God will help you do right. “For it is God which worketh in you both to will and to do of his good pleasure” (Philippians 2:13). God is always faithful. We must let Him work in us so we can experience victory. My friend, do not forget that all liars will be condemned to hell fire. Escape this horrible burning by yielding yourself to Jesus. I urge you to settle your account with God before you lose the opportunity. Turn from your sins, and seek God with all your heart. Read the Bible daily . . . and obey it. Find your place among brethren in a Biblical church of sincere, humble, and obedient believers. If you do not know of a Biblical church, get in contact with someone who can help you find one.